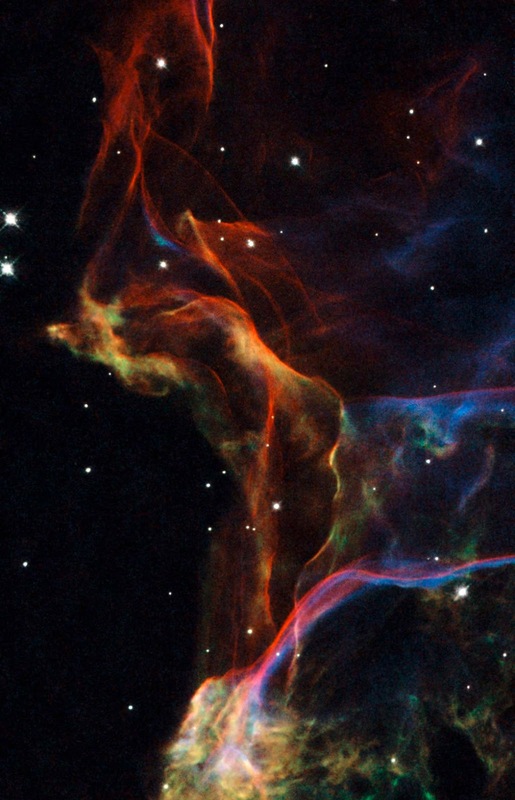 This is a small portion of the Veil Nebula — the shattered remains of a supernova that exploded thousands of years ago. The entire structure spans about 3 degrees on the sky, corresponding to about 6 full moons. 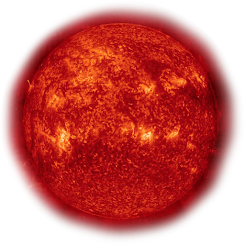 The image was taken with Hubble's Wide Field Planetary Camera 2.